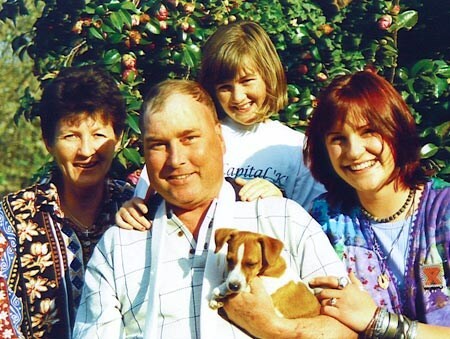 Nearly 17 years ago dlalanathi, formerly known as the Rob Smetherham Bereavement Service for Children, came into existence as a family experiencing grief decided to reach beyond themselves to children and families also dealing with loss. Despite the change of name, dlalanathi remains committed to providing resources for coping with grief and loss alongside the promotion of play and child-caregiver relationships. It all began when three stories converged in the small town of Boston, KwaZulu Natal. The first is that of a young boy living in a local children's home. Though battling illness, he spent Christmas and other holidays in the home of a Bostonian family. At only 9 years of age the boy died of AIDS in the arms of Liesl Jewitt, the second story's lead character. Liesl served as a social worker for the children's home which housed the boy. A master's student of play therapy, Liesl made a commitment to use her learning to help children cope with death. The final strand is that of Rob Smetherham, a nearby farmer battling brain cancer. Rob eventually lost his ability to speak and began using art as an expression of his feelings. What emerged was a series of pieces bearing unique vibrancy and striking use of color. The process enabled Rob to share his journey while expressing his love and appreciation for others. As people watched the progression of Rob's illness ― and testimony of faith and hope ― many were inspired to pay closer attention to affected children's needs for talking about death and dying. It was at a special exhibit to honor Rob and celebrate God's glory, depicted through his art, that Rob and Liesl met. Their meeting strengthened a common vision to help children deal with loss. The Bereavement Service was launched on World AIDS day, 1 December, 2000. Rob died shortly thereafter and Liesl named the organisation in his memory. We treasure the story behind our name as it has shaped our organization in significant ways. The focus on bereavement and children was visionary in South Africa, considered inspired and ahead of its time. Rob's pink cow, our first logo, challenged us to look at the world with new eyes and encouraged creative expression as a means to cope with death. Rob Smetherham's legacy in his life, concern for children, unique vision, and expression through art continue even in growth in size, reach, and impact. Eventually we sought a name which retained our vision and focus but that was uniquely accessible to children and their caregivers. The renaming happened slowly and with care. After consideration and consultation we chose dlalanathi, which means play with us, play and be well. Our desire is for wellness in children; we do this through the gift of play, bringing hope and healing to children who have been affected by loss.